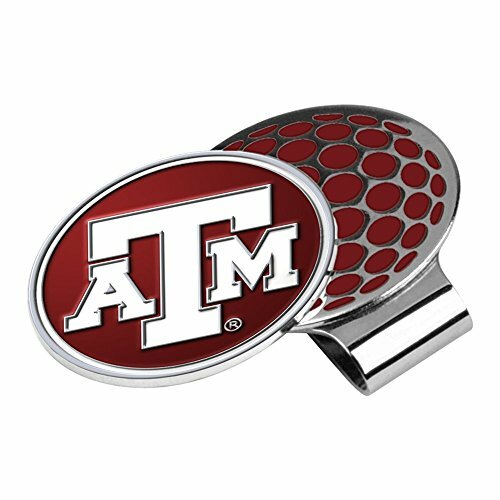 Aggie fans... Mark your golf ball on the green with pride when you use one of these double sided Texas A&M golf ball markers. 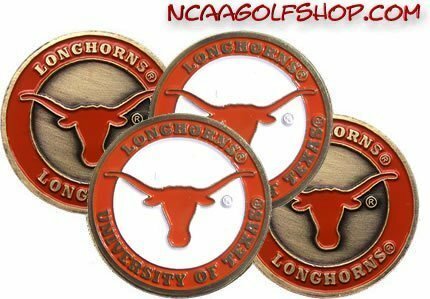 Our NCAA officially licensed golf markers make great golf gifts or grab some for yourself. 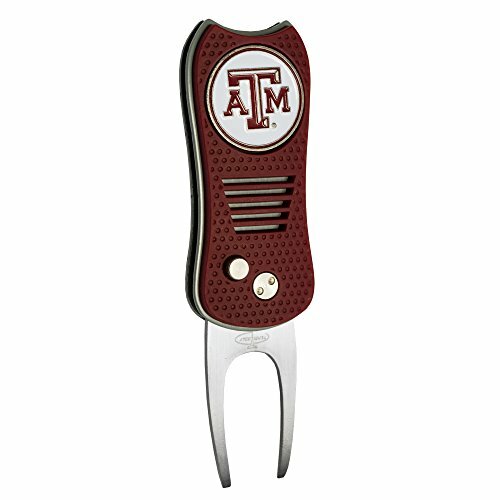 Did you lose the marker from your cap clip or divot tool? 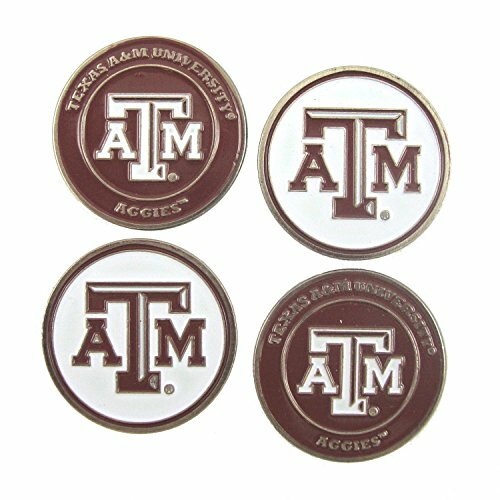 These markers make great replacements and fit most standard size divot tools and hat clips. 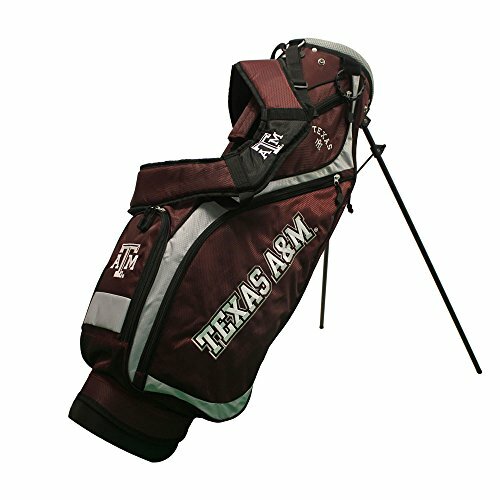 This bag is lightweight, and comfortable to carry. 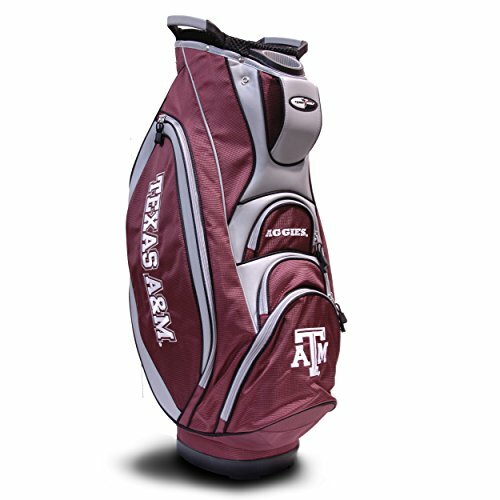 Features include 4-way top, 5 location embroidery, 4 zippered pockets, removable rain hood, umbrella holder, and towel ring. 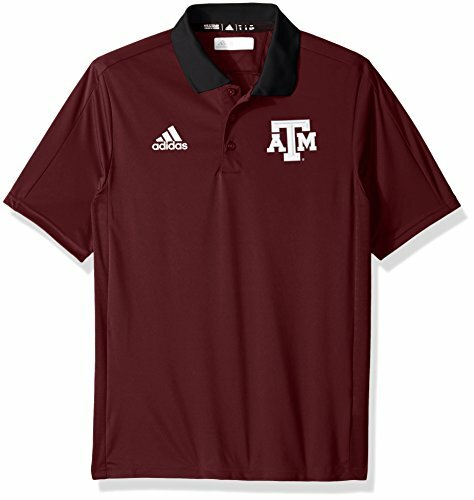 Own the official NCAA polo that the staff wears on the sidelines throughout the season. This polo features plenty of ventilation keeping you cool and dry as the action heats up and bold HD logos. 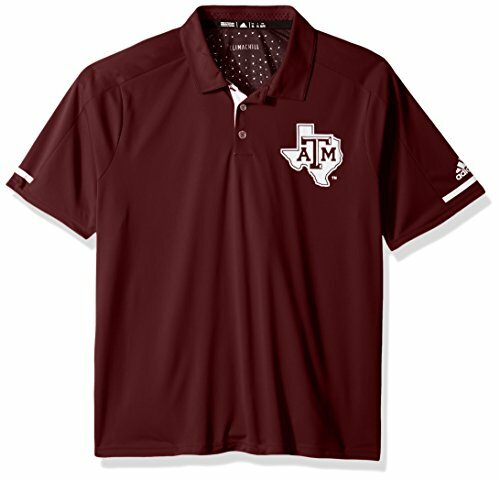 This is the perfect top for casual Friday, a day at the links or looking like a professional at the game.